Hi everyone, today I’d like to share my experience about building front-end toolkit at Tokopedia. So, before create-react-app existed, it’s been painful just to get started with React development. This applies to any front-end library/frameworks without official CLI support. One might build a starter/boilerplate from scratch and some will just clone existing popular starters. You will have a hard time keeping your starter-based app to be up-to-date with the upstream starter, all the more if you have many apps. FYI, my team at Tokopedia have more than 10 (and counting) front-end applications and of course you need to keep maintaining them. 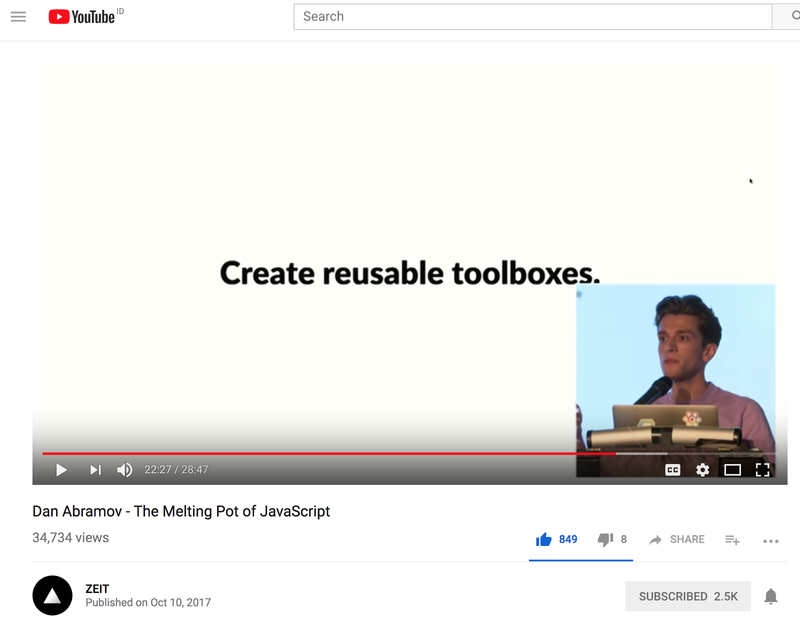 I recommend you to watch Dan Abramov’s talk on Youtube. So he’s one of React team at Facebook and he’s building create-react-app. In his talk, he recommended us to build a reusable toolkit/toolboxes. So toolkit comes in form of CLI, it abstracts away the painful configuration so you can just focus on code and the project just need to contains your application code. There are many zero config toolkit these days, like create-react-app, cra-universal (mine 😂), Jest, Razzle, Nextjs, Docusaurus, Webpack 4, Parcel, the list goes on and each with their own purposes. In this case, we want a toolkit that’s able to start a dev server, build a bundle, testing, generate project, and other common dev tools. By using a reusable toolkit, just bump your toolkit’s version in your package.json and your app is updated. Since it’s versioned, you can keep compatibility between apps without worry, and one improvement can be enjoyed by the rest of the apps. So we already have create-react-app (or other framework CLI), so why bother creating another toolkit? Initially, we have some legacy front-end apps, they are starter-based app. Since we’re growing so fast and keep launching new products, we lack agility to bootstrap a new front-end app, and worse, we’re having a hard time maintaining them because each app have their own tooling, and not standardized. Based in this problem, the toolkit development comes in mind. Shared tools are chore tooling that are not related with bundling system, but useful to boost DX (e.g. : automation), and you usually copy-and-paste them across apps. The main idea is to move the blue ones into centralized space, the toolkit. Now, it’s looking good! 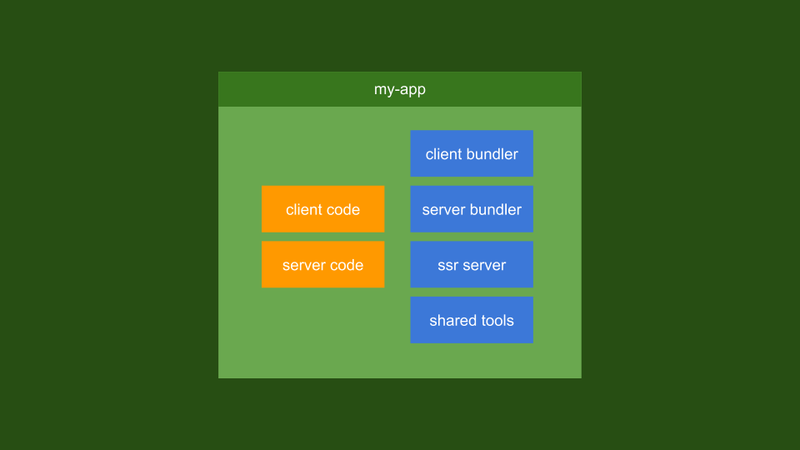 Your app now only contains your application code and depends on your toolkit as development dependency. 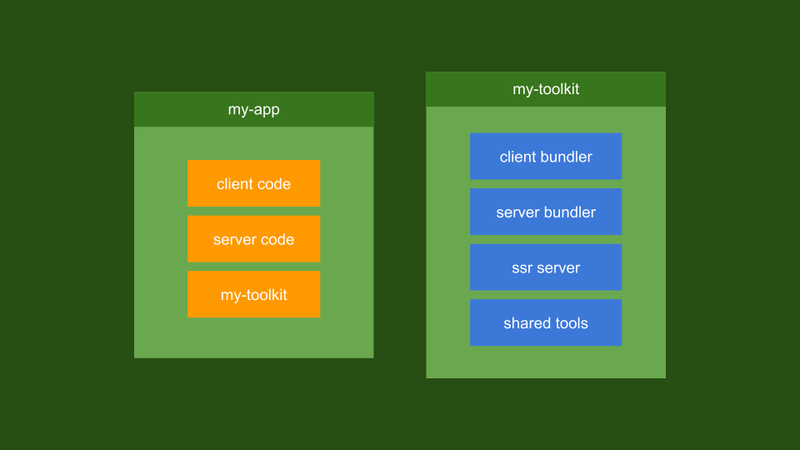 Toolkit is versioned so you can maintain compatibility and easy updates across your apps. When your product owner wanted to launch a new product, you can quickly generate a new project using the toolkit instead of cloning a starter again. 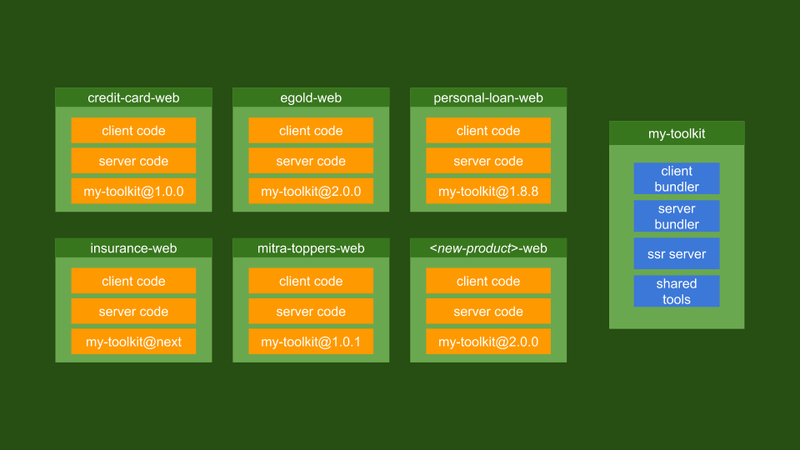 This way you have more reusable, scalable, and maintainable front-end applications. You can find out more at https://github.com/antonybudianto/react-kits. If you put Webpack and its config on the toolkit, then it won’t work because Webpack will be resolving files on the toolkit directory, not the app one right? Yes, by default Webpack will resolve on the current directory, which in this case, your current directory is your toolkit directory, not your app directory even though you called the toolkit command on your app directory. It’s because Webpack is called by the script on your toolkit, not on your app directory. Okay, now Webpack finally able to resolve the entry file in your application code. Now, your webpack should work correctly just like when it was in starter-form. Determine the orange and blue on current apps. Managing Peer dependency. React and React DOM usually installed on app-side, not on toolkit-side. You must define whether some packages should be installed on toolkit or app side. I think that’s it for my experience of developing front-end toolkit at Tokopedia. There is no silver bullet, our approach might not be the best but we already feel the benefit by doing this and will keep improving it. I hope you find it useful too. If you have any ideas or questions, please post a response below, and if you like this article, please share with your friends and claps on! Thank you so much for reading. P.S. : We’re hiring! If you’re curious and wanna be a part of amazing team, apply now!